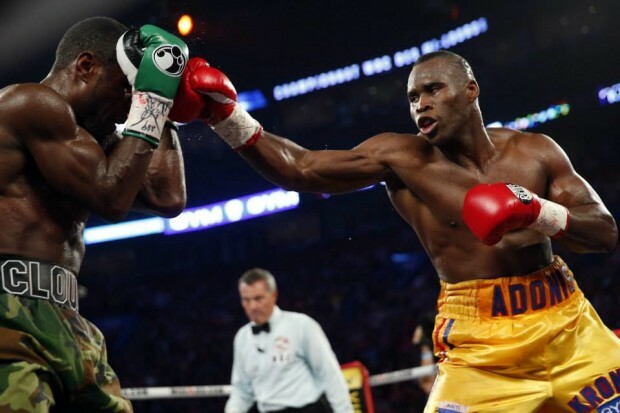 Close to ten thousand fans made their way to the Bell Center to attend Adonis “Superman” Stevenson’s first defense of the lineal light heavyweight title against Tavoris Cloud. 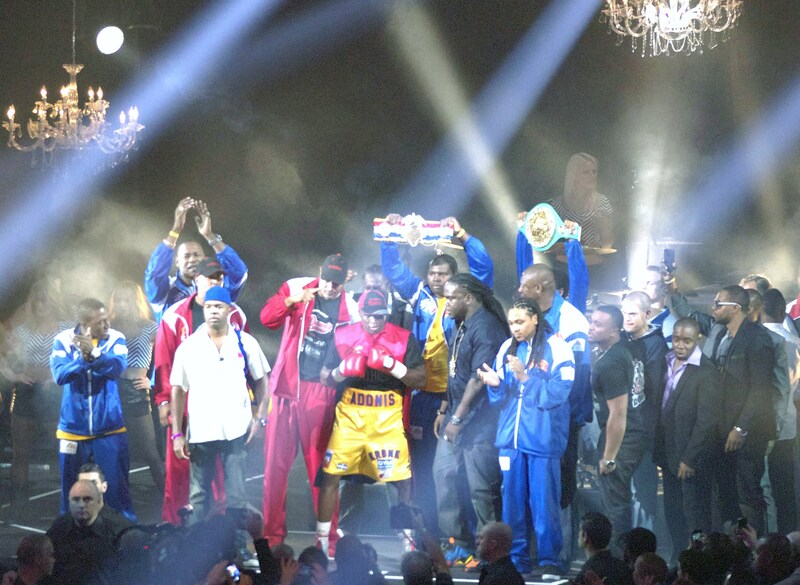 The card was loaded with local luminaries, but the main event was by far the most significant bout of the evening. 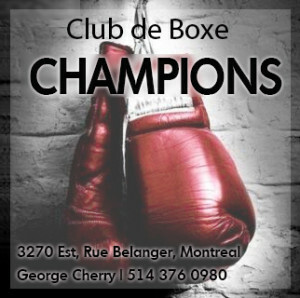 Adonis would be working not only to defeat the dangerous Cloud, but also to assuage lingering doubts about his boxing abilities and to continue adding to the case that he’s the newest and biggest star to emerge onto the always-lively Montreal boxing scene. 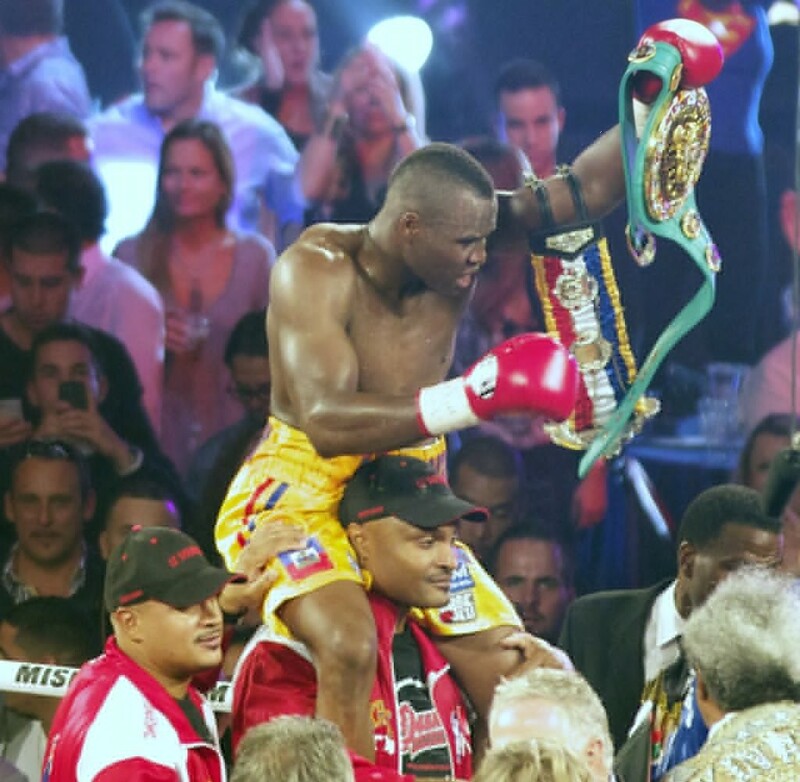 Less than four months after his knockout of Chad Dawson, Stevenson arrived to his meeting with Cloud with a mandatory defense against Tony Bellew already agreed to for later this year. Therefore, “Superman” had to deal with the added pressure of not only winning, but doing so without suffering any significant injuries. This burden of expectations might have proved too heavy for most fighters, especially one only 22 fights into his professional career, but the 36-year-old champion handled the heavy-punching Cloud with the aplomb of an experienced pro. Immediately after the referee recited the instructions at ring center, Tavoris Cloud began pacing up and down his side of the ring like a caged lion as he waited for the opening bell. 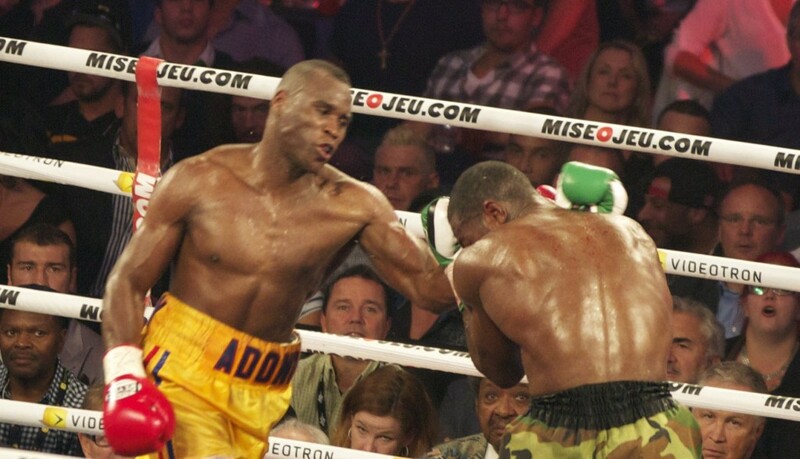 It’s hard to tell whether he felt intimidated by the explosive roar that had emanated from the crowd when Adonis Stevenson appeared, or by the deafening chants of “Oe-oe-oe!” and “Superman! Superman!” they proffered during Michael Buffer’s introduction. But even if he wasn’t affected by any of that, he was deeply aware of the reputation of the champion’s left hand—the most feared southpaw missile since Manny Pacquiao’s—and of its concussive capabilities. After all, that was exactly what most observers and fans kept referring to in the buildup to the contest. Stevenson’s accomplishments have been inevitably tied to his capacity to destroy opponents with his devastating power shots. Sure, “Superman” and his team tried to sell the story that the champion was more than just a big puncher; they repeatedly told us he is a well-rounded practitioner of the sweet science and an avid learner. But fans, perhaps for selfish reasons, preferred to think of Adonis as a completely unregulated and demolishing force of nature. Regardless, what transpired Saturday night inside the Bell Center—as in many of the sport’s finest nights—totally overturned preconceived perceptions. It’s true Adonis’ stunning power served him well in his victory over Cloud, but it was far from the only factor. What ticketholders and TV viewers witnessed instead was a great performance by a boxer who has learned from one of the best trainers in the sport’s history and who understands the intricacies of his dangerous trade. From the opening bell, the champion employed lateral movement, scoring on Cloud with quick and clever offensive spurts. His sharp left crosses drew gasps from the crowd, and one in fact injured Tavoris’ eye in the first round, causing the American to grimace and blink for several seconds. Here, Stevenson showed composure and discipline in continuing his attack without getting reckless, mixing it up with combinations to the body but never straying from his game-plan. Cloud and Stevenson mix it up. Before the beginning of the second, Cloud’s corner encouraged their fighter to let his hands go, confirming one’s belief that Tavoris’ only chance to win would be to outgun the champion. 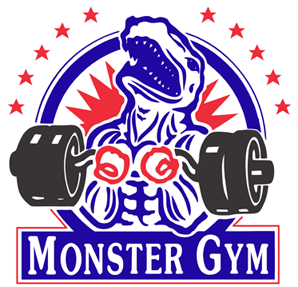 “You’re going to give him every round unless you get busy,” Cloud’s trainer told him as he tended to a small mouse that was already showing up below the challenger’s right eye. But Adonis only grew in confidence from that point on and his technique never faltered. Boxing fluidly, with a certain elegance even, he avoided direct frontal engagement, instead picking his spots, setting up stiff left hands with a measuring right jab. Clearly aware of boxing fundamentals in keeping his routes of escape open, the champion used them appropriately after every instance of attack. And on the rare occasions in which he caught a sharp right hand from Cloud, he immediately retaliated with a hard shot or two of his own. After losing the first two rounds, Cloud ramped up the pressure in the third, backing Stevenson and throwing more frequently, but this simply gave Adonis the chance to affirm himself in the role of counter-puncher. “Superman” continued to use lateral movement to befuddle Cloud, at the same time opening up angles to counter with hard left hands that drew escalating exclamations from the crowd. Probably the most positive aspect of Cloud’s performance to this point was his chin display; the American took many of Stevenson’s best shots and remained vertical even when on the receiving end of the kind of punches that put Dawson down and out. Still, it was evident the challenger was fighting a losing battle. Adonis connected almost at will, whether he initiated contact or countered Cloud’s offensive charges. The champion dominated the middle rounds, landing staccato punches with ease, like a matador toying with his bull near the finish. By now Stevenson was also playing to the adoring crowd, and when Cloud dared close the distance to land his less hurtful punches, Stevenson retaliated with quick and sturdy lefts that jolted the challenger backwards to the ropes. Frustratingly for him, Cloud was now playing the role of a bomb-squad technician futilely trying to defuse an explosive device while receiving an electrical charge every time he touched it. By the seventh, Cloud’s ability to fight was severely compromised due to the punishment accrued and the damage inflicted on his eyes. A second cut had opened on his left eye, diminishing further his field of vision and enhancing the effect of the champion’s punches. At one point, due as much to frustration as to defiance, the courageous Cloud stuck his chin out, hoping to tempt Stevenson into deviating from his strategy. Clearly, neither the crowd nor the champion took Cloud’s taunting in good faith—fans booed him while Stevenson nailed him with a solid right jab. At the end of the seventh round, both of Cloud’s eyes were severely damaged: the skin around them was cut, bleeding and curving downward in fatigue and resignation at the insurmountable difficulty of the task at hand. Thankfully for the challenger’s health, the end of the fight arrived swiftly with his corner refusing to let their charge answer the bell for round eight. Stevenson’s TKO victory over Cloud is in some ways even more impressive than his one-punch stomping of Dawson, as it proved “Superman” possesses adaptability and a capacity to learn new tricks. 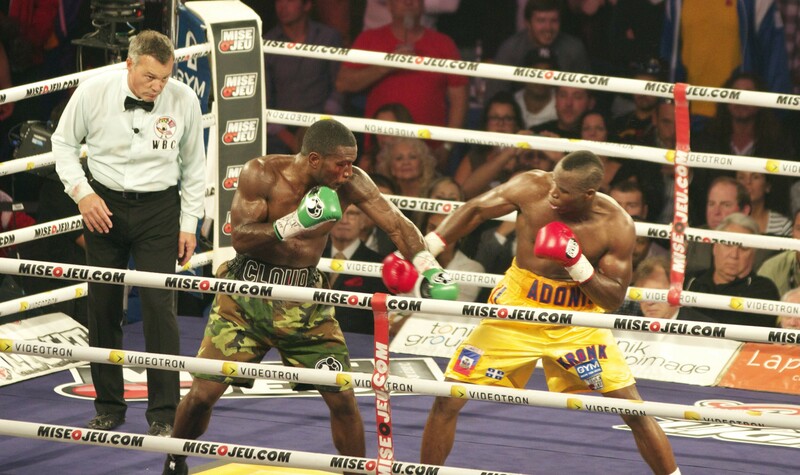 Further, in his first two fights at light heavyweight, and in less than four months, Stevenson has earned impressive wins over the former reigning lineal champ in Dawson and over an ex-belt-holder and one of the highest ranked challengers in Cloud. A mandatory defense against Brit banger Tony Bellew beckons, and it looks as winnable and potentially entertaining as it will be lucrative for Canada’s newest star. Curiously, despite his impressive achievements, Stevenson seems to lack the drawing power that, for instance, Lucian Bute had before his loss to Carl Froch. As evidenced by last night’s abundant and raucous crowd, the Haitian-Canadian is doing better numbers each time he headlines an event in Montreal and is still adding to his fanbase, but despondent scalpers on the steps of the Bell Centre were proffering tickets at below face value and finding few takers. 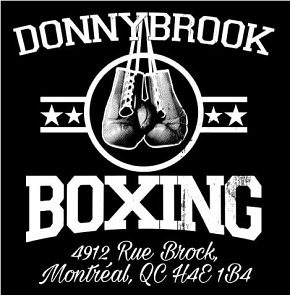 Regardless, his victory over Cloud and the extraordinary manner in which he secured it, will no doubt further boost Adonis’ popularity in the boxing-loving town of Montreal and beyond. Bigger crowds and bigger paydays are surely in the offing. Possible future bouts could involve such intriguing names as Bernard Hopkins and the strong-punching Sergey Kovalev, but the ultimate goal is a no-brainer Quebec mega-fight against the winner of the upcoming Jean Pascal vs. Lucian Bute showdown, scheduled for January. Pascal is considered the favourite in that encounter, and he did his part to hype the fight by scoring a knockout in a stay-busy fight on the undercard. Pascal vs. Bute will do tremendous business in La Belle Province, but if the meeting itself turns into a lackluster spectacle, it will only serve to further cement Stevenson’s status as the top dog in the weight class and in Montreal.